“Hitchcock/Truffaut” (2015). Cast: Interviews: Martin Scorsese, David Fincher, Arnaud Desplechin, Kiyoshi Kurosawa, Wes Anderson, James Gray, Olivier Assayas, Richard Linklater, Peter Bogdanovich, Paul Schrader, Mathieu Amalric (narrator). Archive Footage: Alfred Hitchcock, François Truffaut, James Stewart, Henry Fonda, Cary Grant, Anthony Perkins, Martin Balsam, Kim Novak, Tippi Hendren, Janet Leigh, Vera Miles, Doris Day, Veronica Cartwright, Rod Taylor, Jessica Tandy, Montgomery Clift, Alma Reville. Director: Kent Jones. Screenplay: Kent Jones and Serge Toubiana. Book: François Truffaut, Hitchcock/Truffaut (originally released as Le Cinéma selon Alfred Hitchcock (The Cinema According to Alfred Hitchcock)). Web site. Trailer. In 1962, filmmaker François Truffaut (1932-1984) was a rising star in the world of cinema, having directed a small but significant number of acclaimed pictures, such as “The 400 Blows” (1959) and “Jules and Jim” (1962). Yet, when the brash young French auteur was asked to name the greatest influence on his work, he cited a veteran of the field, someone many years his senior, the legendary British director Alfred Hitchcock (1899-1980). As the visionary who brought to life such pictures as “Vertigo” (1958), “The Birds” (1963), “Psycho” (1960), “North by Northwest” (1959) and “The Man Who Knew Too Much” (1934 and 1956), Hitchcock created a singular style of filmmaking and transformed the medium in countless ways, influencing legions of young directors like Truffaut. But exactly how did Hitchcock achieve this? That’s what Truffaut wanted to find out. He contacted Hitchcock and asked him if he would be willing to sit with him for a week-long series of interviews to share his secrets of filmmaking, a request to which the master agreed. Based on the dialogues that came out of that meeting, Truffaut penned a book that would become must-reading for aspiring filmmakers, Le Cinéma selon Alfred Hitchcock (The Cinema According to Alfred Hitchcock) (later rereleased as Hitchcock/Truffaut). That seminal work, in turn, provided the inspiration for this documentary. The story of this historic summit is fleshed out through excerpts from the original interview tape recordings, backed by still images of the meeting snapped by veteran portrait photographer Philippe Halsman (1906-1979). Intercut with this material is a choice selection of archive footage from the films of Hitchcock and Truffaut, particularly clips that epitomize the principles characteristic of their work. And all of this is further put into perspective by the insights of many of today’s leading directors, including filmmakers Martin Scorsese (“Taxi Driver” (1976), “Hugo” (2011)), David Fincher (“The Social Network” (2010), “Gone Girl” (2014)), Wes Anderson (“Moonrise Kingdom” (2012), “The Grand Budapest Hotel” (2014)), Richard Linklater (“Boyhood” (2014), “Waking Life” (2001)), Peter Bogdanovich (“The Last Picture Show” (1971), “Paper Moon” (1973)) and Paul Schrader (“Auto Focus” (2002), “Mishima: A Life in Four Chapters” (1985)). 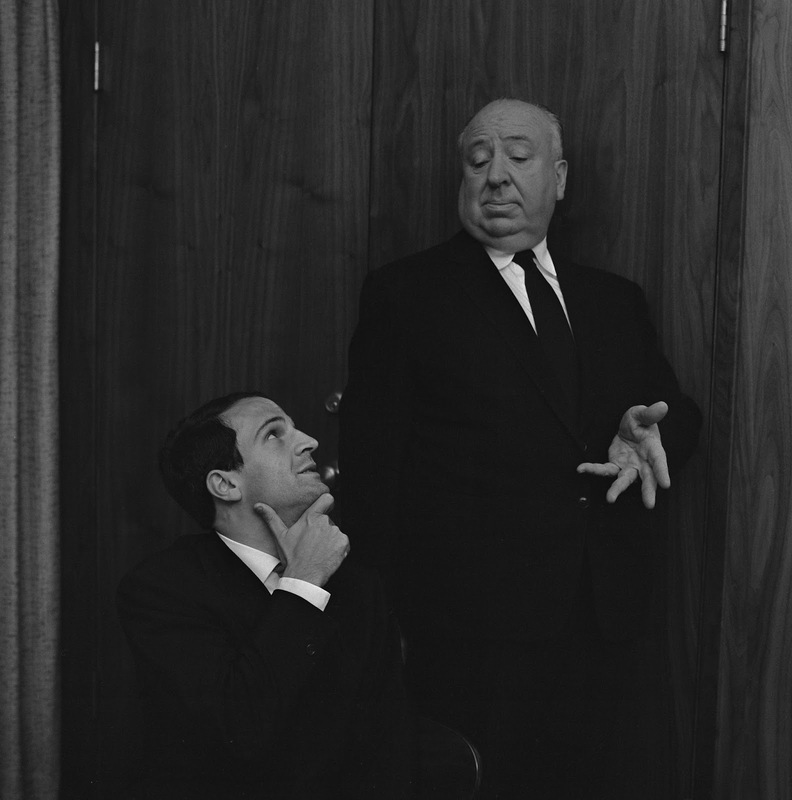 In his younger days, French filmmaker François Truffaut (left) was so enamored by the works of veteran director Alfred Hitchcock (right) that he set up a week-long meeting with him purely to discuss the secrets of cinema success, a summit now chronicled in the new documentary, “Hitchcock/Truffaut.” Photo by Philippe Halsman, courtesy of Cohen Media Group. Even though the film’s title contains the names of both directors, the picture focuses more on Hitchcock than Truffaut, primarily because the master’s output far exceeded his protégé’s, both at the time of their meeting and over the course of their respective careers. Despite this disparity, however, the film nevertheless examines the works and philosophies of both directors using the aforementioned combination of elements, providing viewers with an interesting exploration of what made each artist’s works come to life. 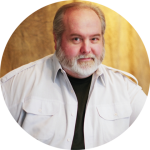 This is particularly true when it comes to the beliefs and perspectives that drove them and led to the materialization of their finished products. In this way, then, viewers are treated to a highly illustrative case study into the workings of the conscious creation process, the means by which our reality and all of its component parts (including those of an artistic nature) come into being. For instance, the film details how Hitchcock made use of conscious creation principles to inventively explore themes like sexuality and obsession in his movies, many of which are depicted symbolically yet effectively. This is perhaps most obvious in “Vertigo” in which Hitchcock had to get creative to convey these provocative ideas despite the puritanical standards in place at the time the film was made.  To make these points, he had to believe that they could be successfully expressed without being hemmed in by prevailing moral and industry limitations, a challenge that prompted him to search the boundless realm of possibilities to find ways to fulfill his goals. That search, of course, ultimately led to some of the most suggestive imagery ever captured on film – and all without sacrificing his obligation to conform to the socially acceptable norms of the era. Similarly, this is also how Hitchcock helped transform the way we look at film. Before the director made a name for himself in the 1940s and ʼ50s, movies were largely seen as an amusing diversion, a lightweight commercial pastime. However, through the use of his many cinematic innovations, Hitchcock elevated a form of popular entertainment into a form of art, taking it to heights of serious aesthetic consideration never before seen. He would subsequently blaze a similar trail for how movies were financed and distributed, a revolutionary accomplishment detailed in the biopic “Hitchcock” (2012), a chronicle detailing how his classic screamfest “Psycho” came into being. The experiences one encounters in one part of life often have impact on others, as is apparent in the films of both directors. For example, events from Truffaut’s childhood provided fodder for the lives of his characters as seen in works like “The 400 Blows” and “Day for Night” (1973). The events that manifested in his youth had a subsequent bleed-through effect in his later artistic life, enlivening his characters in ways that paralleled his own experiences. The beliefs that led to the realization of those initial circumstances thus served to inspire those yet to come, and, even though those latter materializations occurred in a fictional context, they nevertheless mirrored their forerunners, springing forth in both cases from the consciously creative mind of the same individual. The same could be said of Hitchcock’s infamous personal preoccupation with blonde femme fatales. So, given that, is it any wonder that he ended up casting actresses who emulated those qualities for his films? Again, the attributes of one milieu carried over into another. In both of the foregoing examples, the parallels between the life and artistic experiences of the two directors illustrate another of conscious creation’s cornerstone principles, the connectedness of all things. Much of the time, many of us tend to view our existence from a compartmentalized standpoint, looking upon all of the elements of our lives as separate, individualized components. Yet, when we consider how conscious creation functions and see how comparable notions recur in different aspects of our reality, we’re invariably able to trace the roots in each case to a common source, our beliefs (and, frequently, analogous beliefs at that). This thus helps to explain why the underlying themes present in one area of life mimic those found in others. 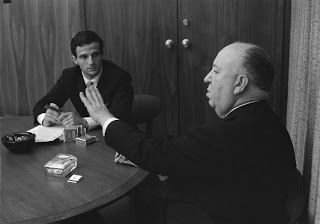 Two giants of cinema, François Truffaut (left) and Alfred Hitchcock (right), meet for a historic summit on moviemaking in 1962, the subject of Kent Jones’s new documentary, “Hitchcock/Truffaut.” Photo by Philippe Halsman, courtesy of Cohen Media Group. Anyone who appreciates the power of conscious creation concepts, the influential impact of cinema and how these elements overlap with one another (the basis upon which I view and analyze film, not to mention the underlying foundation of my writing) is likely to see the value of “Hitchcock/Truffaut.” This documentary capably illustrates these notions not only in principle, but also through the specific works and experiences of two of the art form’s greatest practitioners. Audiences can thus take away much from viewing this inspirational and enlightening offering, all the while having an enjoyable time at the movies. To be sure, the film would have benefited from paying a little more attention to Truffaut’s repertoire, but, this shortcoming aside, this release is solid in virtually every other respect. This nominee for the 2015 Cannes Film Festival Golden Eye documentary award is a must-see for die-hard cinephiles. It’s currently playing in limited release in theaters specializing in documentary, independent and foreign films. The compulsion to create, and the desire to become a master at it, is something all great artists strive for. It can be seen in their work and in the vision they hold to see those creations come to life. Alfred Hitchcock and François Truffaut personified those notions, resplendently inspiring the generations of filmmakers – and conscious creators – who followed them.